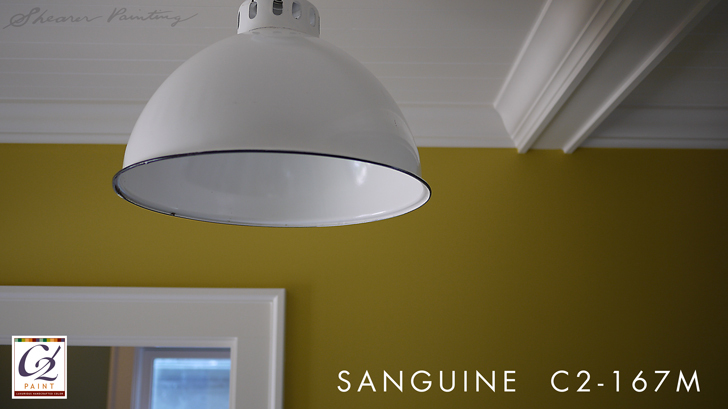 If you’ve painted a room in your house recently, you know that tackling a new painting project is both daunting and exhilarating. 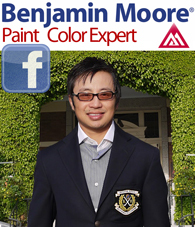 You’ve probably heard of the largest paint manufacturers, too – like Benjamin Moore and Sherwin Williams. But there’s another paint line you may not have heard of, that uses a 16 colorant system as opposed to the 12 colorant system used by most paint brands. This line is called C2 Paint. C2 was founded 12 years ago by Tom Hill III, the former Vice President and head chemist of Pratt & Lambert Paints prior to it being absorbed by a major company and turned into a minor brand. 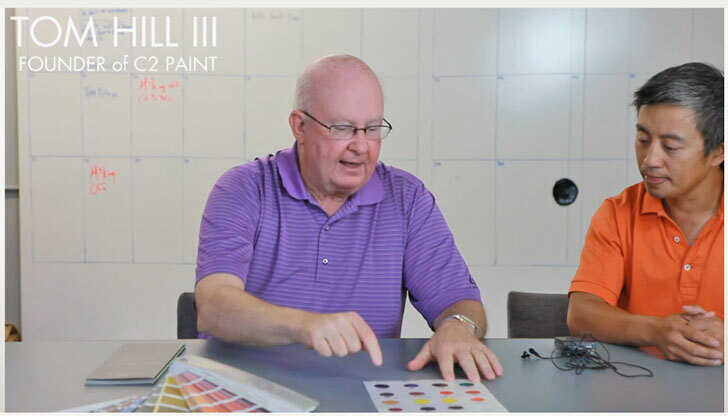 Hill soon garnered support from important independent paint dealers all across North America: Shaun Clark from Massachusetts, Greg Stebbe from Calgary, Harry Adler out of Rhode Island – these men, and other founding members of C2 Paint, invented the foundation and concept of the line. 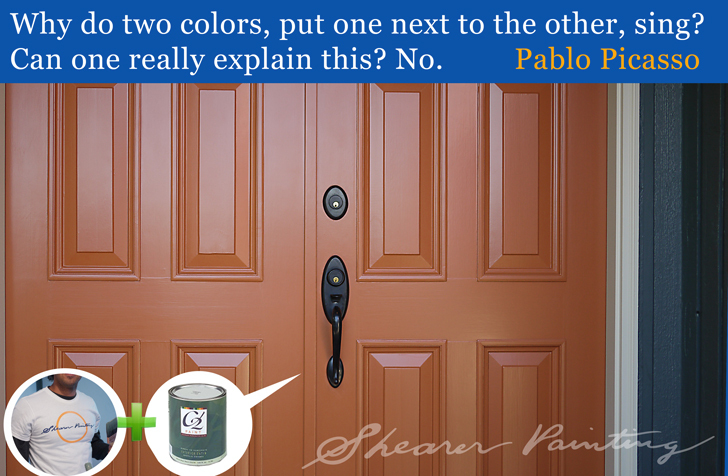 When C2 was created, the founders decided that the color work should be unique; they didn’t want to use a color system that already existed, which many paint companies do. Usually, those companies will formulate their colors with the smallest amount of pigments possible, since this keeps costs low; they will use 3 pigments max, plus black. C2 is formulated with at least 5 pigments (more often than not, up to 8 pigments. Although C2 is available in fewer than 100 paint stores across the country, it is still a very popular line due to its beautiful, handcrafted colors, made with 16 European pigments, and its high quality paint base; when combined with the colorants, it creates rich, electrifying colors. Another interesting note about C2 Paint is that they have “ultimate” paint chips. These “chips” are actually pre-painted poster board-sized (18’ x 24”) paint sample sheets. I know of no other paint manufacturer who does this, and it is an ingenious idea. 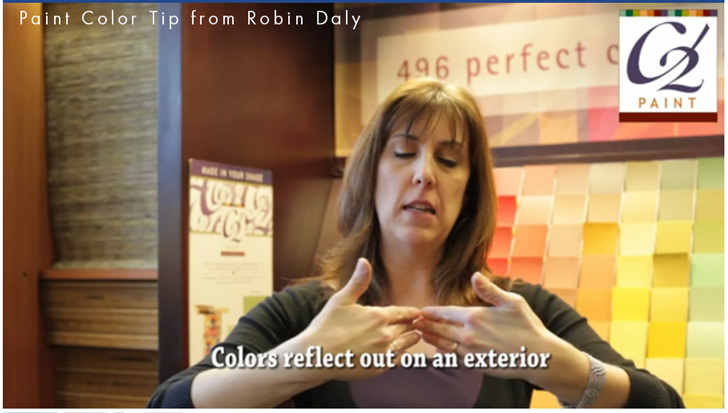 It can be difficult to tell how a color will actually look on your walls with a little paint chip. Using the giant chips saves homeowners and designers time and money. One of the best things about them is that they’re painted with real paint – not with ink, like many small paint chips are (C2 was actually the first paint to go to a national market with poster-sized paint chips and all of them made from real paint. Even the fan decks are made of chips from real paint. They also cost only $6/card, which is comparable to the cost of those tiny paint jars. Tiny paint pots, sample boards, or foam brushes can be quite cumbersome, messy, and frustrating to use. It was decided that the sample pots would be 16 oz. of C2 premium paint, which is enough for some generous wall samples. Homeowners and designers can agree that this is better than cheap 4 oz. jars. 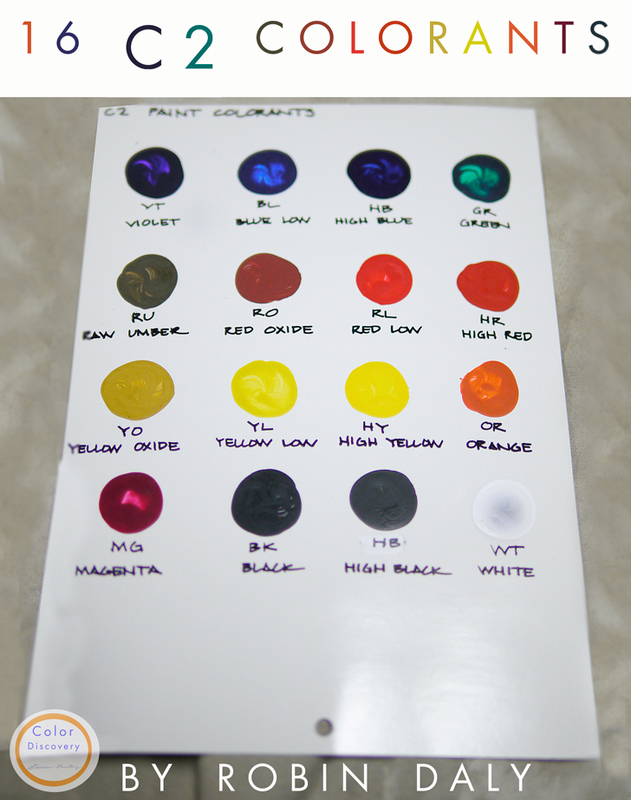 In fact, C2 sellers can often tint custom colors into sample pots for customers. 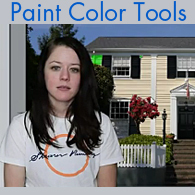 It’s typically a good idea for homeowners and designers alike to sample the actual paint color on boards and view the color at different times of the day and in various positions around the room; this helps confirm that that color is the one you want. Many people will skip this important step, because it takes extra work. But C2 Paint has solved this problem in creating their pre-painted cards. Another pro about the C2 line is that it is a cooperative as opposed to a traditional company. This means that C2 is owned by individual paint dealers (the dealer is also the shareholder) who help designers and homeowners in their locale decorate their homes. So, the product direction is set by a group of dealers who know what their customers want, and their success is dependent on selling a high quality paint line with unique features. The C2 makers ensure that the color work is the most important part of the process, not just selling paint. They try to keep their operations costs as low as they can without sacrificing quality, and thus operate with only 4 employees – all other work is done through dealer participation and trusted resource providers. The quality of the paint is key, and that’s what C2’s focus is on – not marketing campaigns.